2 Bedroom Flat For Sale in Christchurch for Asking Price £300,000. 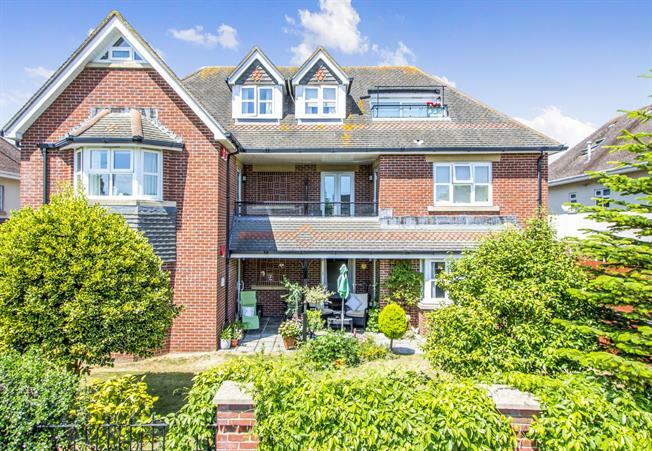 Situated in this popular location near to the centre of Highcliffe. Built by Morris Builders to a high specification with good insulation, this well planned apartment has very spacious living accommodation in a block of five apartments. Summary of the rooms are as follows, communal entrance with entry phone, stairs and lift to first floor landing, reception hallway, living room with south facing balcony, modern kitchen, two double bedrooms, en-suite shower room to master bedroom, family bathroom, garage in block at the rear, communal grounds. Entry phone, lift and stairs to first floor landing. Entry phone, radiator, thermostat, telephone point, large walk in storage cupboard with double doors. Front bay, feature fireplace, TV point, telephone point, radiator, aspect to front, door to balcony. Inset one and half bowl sink unit, adjoining worktops with base units, space for washing machine, gas hob, cooker hood, oven and microwave, integrated fridge/freezer, range of wall mounted units with under unit lighting, radiator, boiler cupboard, tiled floor, part tiled walls. Radiator, telephone and TV points, aspect over rear communal gardens. White suite, walk in shower unit, WC, wash hand basin, tiled floor, shaver point, heated towel rail, window. Phone point, radiator, aspect over rear communal gardens. White suite, panel bath, WC, wash hand basin, heated towel rail, tiled floor, shaver point, extractor fan, window. 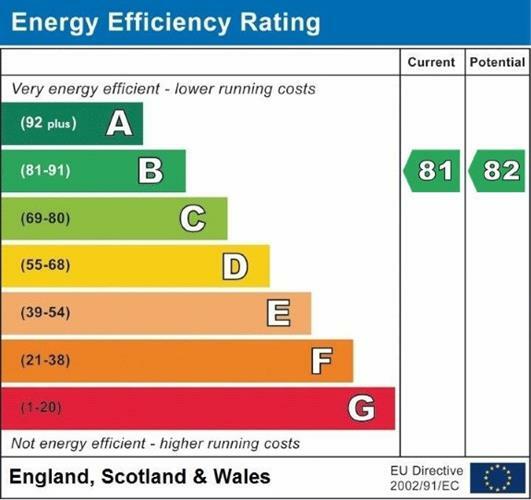 Not measured, electric up and over door. Communal gardens to the front and rear, garages are in a block at the rear of the building.